School delay posted at the School District Website! Primary Election is May | Are you registered to vote? – To vote in the 2018 May 15 Primary Election Day — Date: May 15,2018, you must be registered by April 1. We keep seeing the term on local facebook pages | “What Is A Douchebag, Exactly? Raise your hand if you think any of these elected public servants in wonderland read this 2,232 page spending bill. Because not everyone’s got Internet access. In Lebanon, the town’s peppered with these signs. Saw these on Monday in Lebanon; the town knows that not everyone is a digital citizen. The announcements, though, are also at its Website and its facebook page. As is its Farmers Market. 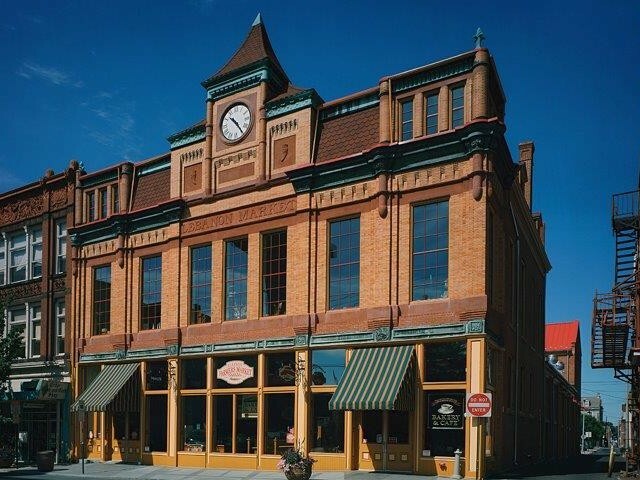 Next Pack a lunch and join the National Watch and Clock Museum for its Lunch “Time” presentation on Wednesday, April 11. I saw a lot of cars with tickets and street sweeper tracks around them Tuesday morning. I’m hoping they only gave out warnings this time. Indeed not everyone is connected and, even among those that are there are, many who avoid social media and may not want to release their contact information to revive the borough updates. Secondly I get tired of moving the cars and still not having the street swept which is exactly what occurred Monday on Locust street. Can I give them a ticket for not sweeping? Concerning the Uber fatality. I keep hunting for more info on the car itself wondering if it might possibly be an electric vehicle. Those things are dangerous to pedestrians as they are so quiet. I saw the video this morning of the “human safety driver” looking down and not paying attention to the road. When he looked up, he was stunned to see the car hit the woman. If you would like to see it, go to http://www.Democracynow.org. To say that the driver was not at fault is bulls***. Yes, the video shows that the driver will not be able to be distracted or dozing. Here’s the DASH CAM video showing the outside and the inside of the Volvo.